When Anne was nine, her mother died. Her education was stopped and Anne’s quiet life was replaced by traveling with her father to various castles and fortresses. That same year, her father’s court received several visits from Louis, Duc d’Orléans, supposedly to give advice and help to her father. 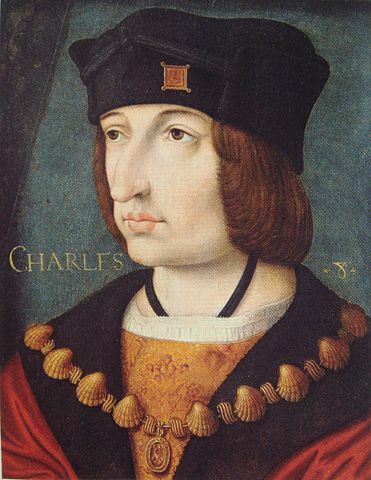 Louis was the next in line to inherit the throne of France if the current king, Charles VIII had no sons. There were rumors about his visits to Brittany and Louis found himself denying he was looking to marry Anne or her sister. Besides, he was already married to King Charles’ sister Jeanne. Duke Francis spent many years fighting the French who were looking to annex Brittany into the domains of France. 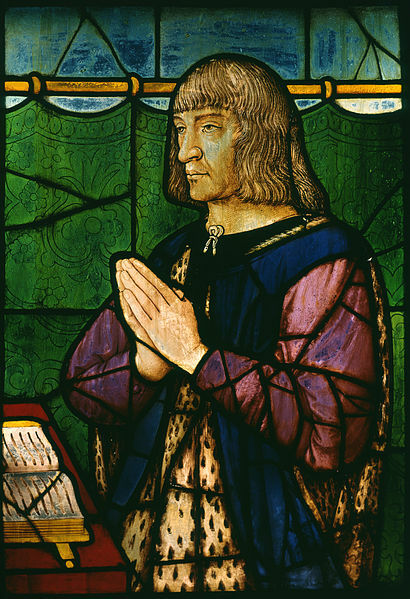 He suffered a huge defeat at the Battle of Saint-Aubin-du-Cormier in 1488 and the subsequent Treaty of Verger forced Francis to cede several towns to King Charles, forced him to recognize Charles’ rights to the Duchy of Brittany and he had to agree not to marry his daughters without Charles’ consent. When Anne was twelve, she wrote a narrative of events in Brittany, including a description of the Battle of Saint-Aubin-du-Cormier and sent it to Archduke Maximilian of Austria, King of the Romans. Duke Francis died three months after the Battle leaving Anne to succeed him. In his will Francis named several important Breton men as guardians for Anne and her sister but he left no instructions regarding marriages for the girls. Anne was crowned Duchess of Brittany on February 10, 1489. King Charles sent an embassy to Brittany with condolences to Anne and Isabeau. He also proposed: 1) he should be named their guardian; 2) a committee should be formed to arbitrate the disputes arising over titles and rights to the Duchy and 3) that all strangers leave the country. This was in complete opposition to the Treaty of Verger. Anne refused all points and notified Charles she had convoked the Estates of Brittany to ratify the original peace treaty. Anne’s position was weak. The treasury of Brittany had been drained by the war, the plague was running rampant throughout the Duchy, her ministers were all divided in opinion and looking out for their own interests and a French army was waiting to attack at any moment. A marriage for Anne was crucial. Since 1480, Francis had tried to broker an English marriage. This never materialized and negotiations were then opened for an alliance with Archduke Maximilian. 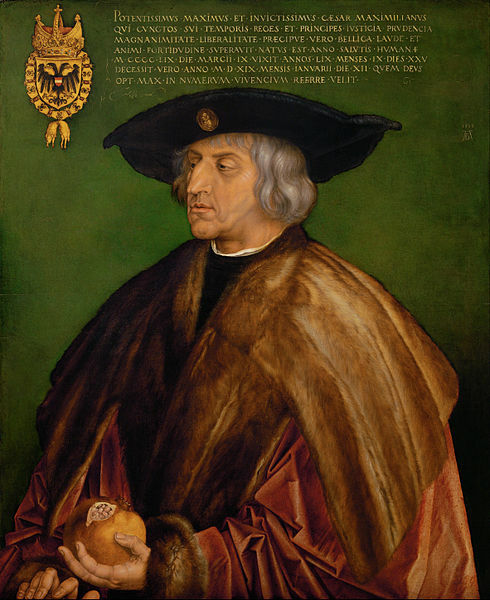 King Charles was married to Maximilian’s daughter Margaret of Austria. Some of Anne’s councilors were promoting a marriage with a Breton. Finally, in 1490, Anne decided to marry Maximilian with the negotiations carried out in secret. The match was in direct violation of her father’s treaty and Charles could have vetoed it. There was a procuration ceremony with a proxy standing in for Maximilian on December 19 in Rennes Cathedral. Anne began signing documents as Queen of the Romans and her secret was out. In early 1491, Charles brought troops to Brittany and Anne’s small army fought with all their might. Her troops consisted of about 14,000 men, mostly English, German and Spanish archers supplied by Maximilian. Charles began the siege of Rennes. Anne suffered along with her troops and eventually had to decide whether to accept Charles’ offer of one hundred and twenty thousand crowns in exchange for relinquishing the Duchy of Brittany and joining her husband. She finally surrendered. Charles asked for a private audience with her and they remained together a long time. Three days later they were betrothed in a public ceremony and on December 6th they were married at the Castle of Langeais. This marriage was a shock to the whole of Europe. Charles had been married to Margaret of Austria since 1482. Charles must have been very charming to convince Anne to marry him or maybe Anne harbored a desire to be Queen of France. Charles’ marriage had not been consummated and Margaret was sent back to Maximilian in humiliation. Anne’s act of marriage with the proxy was declared defective and not binding. Maximilian made a formal protest to the Pope. When Charles asked the Pope to grant a dispensation for his marriage to Anne, he would only do so if Anne swore she had not been violently seized and forced into the marriage. Anne stated before an ecclesiastical court she had suffered no violence. After the wedding, the couple returned to Paris, stopping at various towns on the way. Anne was joyfully received by all. 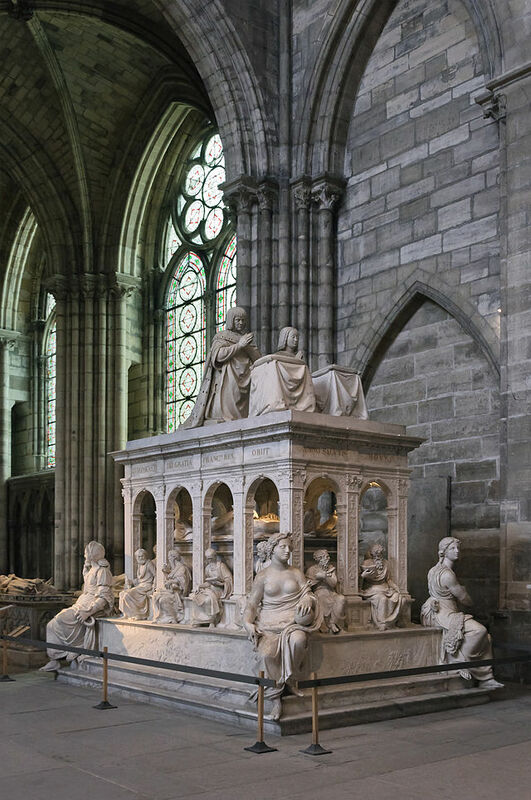 She was crowned at St. Denis on February 8, 1492. On October 11, Anne gave birth to a son, Charles-Orland. Charles did not allow Anne to have any role in public affairs and from the years 1492 to 1498, all political acts regarding Brittany were issued in Charles’ name. In the summer of 1495, Charles was in Italy in search of conquests. Anne accompanied him part of the way, leaving her son in France at Amboise. There was an outbreak of smallpox near the castle and despite all their precautions, to his parent’s dismay, the boy died on December 6. In the next three years, Anne gave birth to two sons and a daughter but they all died in infancy. She was forced to put up with the infidelities of Charles which he carried out right before her eyes at court. Anne spent as much time away from court festivities as she could. But in 1498, Charles had a change of heart and returned to her, giving up jousts, tournaments and bad company and concentrating more on the administration of his realm. He was even seen giving audiences to the poor, listening to their grievances. At the same time Charles’ health was becoming more fragile and he was looking emaciated. Plans were in the works for another expedition to Italy. On the morning of April 7, Charles was preoccupied with matters pertaining to war. Some of his gentlemen had arranged for a tennis match to be played that afternoon. The King couldn’t play but he promised Anne he would join her to watch the match. To get to the court, he had to pass through a gallery with a low entrance. With his mind on other things, he hit his head forcefully on the top of the archway, stunned by the violence of the blow. He stood for a moment while those around him kept him from falling. He recovered himself and went on to watch the tennis, speaking to those around him. He abruptly fell backwards. He never spoke again and with Anne by his side, he died around eleven that evening. Anne was devastated and her servants forced her to go to her room. Messengers hastily made their way to Blois to tell Louis, Duc d’Orléans he was now King of France. He made his way to Amboise and visited the body of Charles before seeing Anne. Anne made Louis promise to stage a magnificent funeral for Charles. Louis promised and even paid for the funeral. Anne remained grief-stricken. She was no longer Queen of France but she regained power over Brittany and immediately took complete possession of her lands and their governance. She consulted with the Duc d’Orléans, now King Louis XII on having his troops removed from Brittany. He consented. There were more meetings between the two and eventually Anne agreed to marry Louis after he extricated himself from his marriage to Jeanne of France. Her marriage contract with Charles VIII had stipulated that the new King of France marry Anne upon his death. While awaiting the annulment of Louis’ marriage, Anne returned to Brittany. Pope Alexander VI gave Louis his annulment and Jeanne retired to a nunnery. A marriage contract was drawn up, stipulating Anne retain the government and revenues of Brittany. If she died without children, Brittany went to her direct heirs. If she had children, the second male child or daughter if there was no son, would inherit Brittany. Anne retained the dowry she received from King Charles and Louis doubled this amount. Anne and Louis were married in the chapel of the Castle of Nantes on January 8, 1499. On October 15, 1499, Anne gave birth to a daughter named Claude. Louis did not interfere with Anne’s administration of Brittany and allowed her much freedom and independence. Anne was tenacious, bold, determined and firm in her conduct. Some of the King’s men called her obstinate. She had an unbridled temper and was known to be vengeful. But Louis indulged her. Anne could be kind as some of her letters show. She was very pious and took an interest in the poor. She was called the “Good Duchess” and her court was known as a school of good conduct for the young daughters of noblemen. She collected manuscripts, cultivated a library and was a patron of the arts. Louis recognized her political acumen and allowed her to help him carry out some duties in administering the country and consulted with her on foreign affairs. On November 18, 1504, Anne was crowned Queen of France a second time at Saint Denis. She had at least six pregnancies which resulted in either miscarriages or stillborn children. There may have been incompatibility with RH factors for Anne and her spouses. In 1510, she had a daughter named Renee who would survive but Anne became seriously ill after the birth. She lost the power of speech and was given last rites but she slowly recovered. Anne had one last stillborn son in 1512, suffering a dangerous fever afterwards. Louis went on several campaigns in Italy and suffered numerous near-fatal illnesses during the marriage. Anne acted as Louis’ nurse. Anne was a proponent of an Austrian alliance for her daughter Claude in an effort to keep Brittany independent of France. France had a Salic law, meaning a woman couldn’t inherit the throne so Claude was not allowed to be Queen Regnant. Louis was very aware of his fragile health and of his lack of a male heir. He therefore made arrangements for Claude to marry Francois d’Angoulême, the next in line for the French throne. There was a betrothal ceremony in the great hall of the Castle of Plessis-les-Tours on May 20, 1506. Anne was very unhappy with this turn of events. The alliance was one of the few things Anne and Louis fought over. She continued to hope the marriage would not materialize. On August 7, 1508, Anne was traveling in a litter over the Loire River on a wooden bridge when the boards gave way. She was suspended on the edge of the opening and lost her horses but she managed to be rescued. Louis’ efforts to conquer Italy put him at odds with the Pope for several years. The Pope threatened France with interdict and excommunication, a state of affairs which worried the pious Anne. She worked very hard to reunite Louis and the French church with Rome, eventually accomplishing reconciliation between all the parties. Anne had never enjoyed the best of health and after the birth of her last child, she was very unwell. The chronicles mention she was often ailing with an illness called “stone” or kidney disease. This was mixed with an intermittent fever. She was only thirty-eight but all the childbearing had taken its toll. Acute suffering began in late December of 1513. After ten days of pain and misery, she died on January 9, 1514 in the castle of Blois. The chroniclers claimed the doctors taking care of her were ignorant and mismanaged her care and should have been dismissed. Surgeons and apothecaries embalmed the body. Her heart was extracted and encased in a gold box. There was a magnificent funeral which lasted for days. She was buried in Saint Denis but her heart was taken to Nantes and buried in the tomb of her father and mother which she had built. On May 18, Anne’s daughter Claude was married to Francois d’Angoulême, just five months short of her fourteenth birthday. On October 9, 1514, King Louis married the ravishing sister of King Henry VIII, Mary Tudor of England, only to die on January 1, 1515 after too much celebrating. Anne’s daughter Claude was Queen of France. She would give birth to at least seven children and die at the age of twenty-four. Wonderful post on a fascinating and fiery woman who has been underserved by history’s annals. 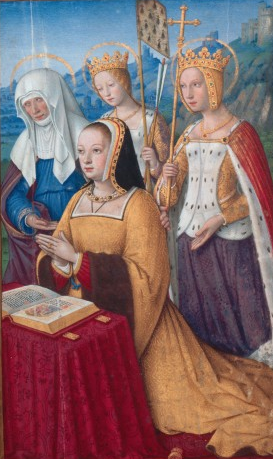 Working on bringing Anne of Brittany into full living color for contemporary readers in Sense of Touch: Love and Duty at Anne of Brittany’s Court. Her birthday anniversary coming up tomorrow, Jan. 26, 1477! Thank you, Susan, for your insights into her short, eventful life. A wonderful story, worthy of a Hollywood epic! Poor Anne, so much to bear and suffer, in just 38 years! More than enough for one lifetime. And her daughter, to die at such a young age… so sad. You’re right Jo. It would make a good movie! Aha, you’ve done it again for me, Susan. Your great story of Anne reminded me of how much I’d read about this so interesting woman, but apparently forgotten! The late 1400s were certainly a hotbed of unusual and exciting royal and aristocratic characters! And your narration here points out quite a few of them. I knew about Charles Orlando and always wondered how he came to be named so. Orlando was not a Breton ducal family name: do you know how he came by it? Oh, inquiring minds want to know, as the old commercial used to put. I’ve got to find that biography of Margaret of Parma. You’ve reminded me. I have been in Helenistic Syria for too many weeks it would seem! Roland is a High Medieval form of Riwallon, a Breton name. Margrave Roland of Roncevalles fame was probably a Breton, hired by Charlemagne to keep the other Bretons in order, seeing as Lower Brittany remained unconquered despite the Emperor’s best efforts. Charlemagne’s ancestry allegedly included some Breton stock, hence the story about Roland being his “nephew”. The earliest manuscript of the Song of Roland is in Gallo (so-called “Norman French”) and dates to sometime after the Battle of Hastings, before which the Chanson was allegedly sung. The presence of “Richard of Normandy”, Count “Geoffrey of Anjou” (referenced at least three times) and “Eudon, Lord of Brittany” in that manuscript affirms that at least one section was written with 1066 in mind. Roland and Oliver remain popular names in Brittany. What a life!!! It is hard to conceive of so many pregnancies, so much travel and intrigue and all before the age of 35. Tough lady! Thanks again Susan for your meticulous research.